With the belief to make the elderly feel cared for and empowered, M-tech has launched its first senior friendly phone – Sathi. The phone promises to make their lives easier and be a true companion, at all times. High resolution cameras, faster performance and rich multimedia matter to the young. But, to the elderly they are irrelevant. They need a phone that is easy to use and specifically designed for their unique needs. Ease of use is at the core of the M-tech Sathi with its 2” horizontal wide screen, extra-large keypads and on –screen fonts, bold keypad and icons for better visibility. Hearing being issues with aging, key pad sound on the phone add that extra touch of usefulness. Security and medical emergency is crucial and the phone features an SOS button for emergency ensuring that their loved ones are never far away. Extending its usability beyond the elderly, Sathi offers Braille support for the visually impaired. The phone is equipped with a powerful 1800 mAh battery, curbing the need to charge it frequently. Additionally, it is the only brand that offers one page menu localization. Not one to compromise on the fun quotient, Sathi comes with a rear digital camera to capture beautiful moments and FM radio to keep the elderly entertained. Sathi also offers 2 bonus features bearing in mind the unique needs and everyday lifestyle of the elderly. First, it is the only phone in its segment to offer a Bluetooth dialer that allows users to connect this phone with their smart phone, and make/receive a call without touching their smart phone. Second, is the Alerts feature that allows users to set alerts according to their preference. E.g. water alert or medicine alert. Priced at Rs 1299, the Sathi is the most affordable phone in the senior friendly phone segment and the only brand that offers multiple color options – Black, Silver and Gold. The product is available across the country at 20,000 retail points of all formats and leading e-commerce sites. 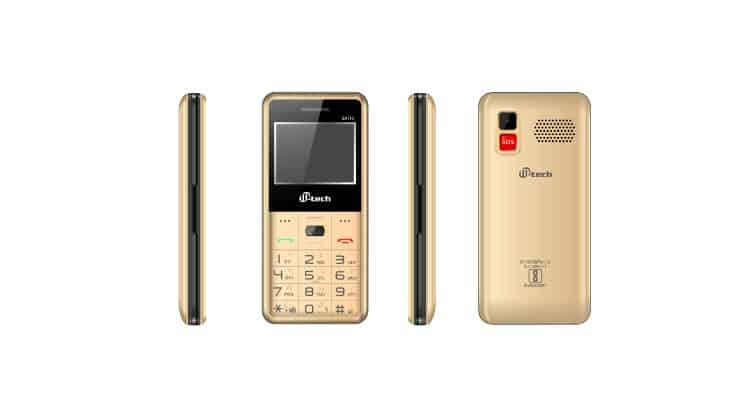 M-tech launches its first senior friendly phone – Sathi 0 out of 5 based on 0 ratings. 0 user reviews.